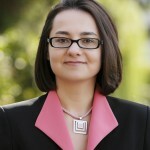 Ekaterina Walter is a social media strategist at Intel. She is a part of Intel’s Social Media Center of Excellence and is responsible for company-wide social media enablement and corporate social networking strategy. She was recently elected to serve on the board of directors of WOMMA. 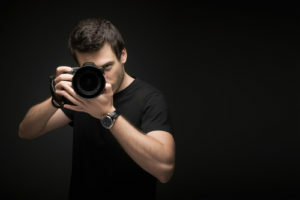 The rise of image driven apps such as Pinterest, Tumblr, or Instagram is another trend that various commentators have jumped on to hail the death of the written word in generating sales. Pinterest, the virtual social pin board for themed images and interests, is currently ranked 5th for driving traffic referrals, behind Facebook, You Tube, Twitter and Yahoo. Google+ ranks at number 9. (Source: Experian Hitwise US) But before brands can start getting too excited about the commercial potential of Pinterest, it’s worth looking at the type of traffic it is generating. Of the top 10 brands on Pinterest, 9 are lifestyle/retail. Pinterest is a visual medium that works best for lifestyle and retail industries, where customer decisions are particularly based on visual appeal. 57% of companies using blogs reported that they acquired customers from leads generated directly from their blog. Businesses are now in the minority if they do not blog. From 2009 to 2011 the percentage of businesses with a blog grew from 48% to 65%. 85% of businesses rated their company blogs as “useful”, “important” or “critical”; 27% rated their company blog as “critical” to their business. What this actually suggests is that blogging is becoming more ‘niche’; rather than an all-purpose tool it is being used with more specific goals in mind. Companies who may have not been all that dedicated to maintaining a blog are finding other communications channels, such as image applications, work better for them. Brands that get value from their blogs are just as committed to that form as ever, but may have also added other platforms to their communications toolbox to interact more flexibly with a wider variety of audiences. Socially savvy brands like Dell, for example, report significant cost-saving benefits from having a support blog in place which helps reduce the volume of the call center calls. But it doesn’t mean that Dell doesn’t have other touch points with its customers on various networks. Having a network of blogs where each blog focuses on a particular topic or audience is a great strategy employed by a number of successful companies. It allows you to connect with relevant customers in a meaningful way. Companies are asking themselves, what media is best for interacting with customers? This might be image-driven, video, or another visual medium. If short messages are the best way of reaching customers, tweeting, texting or using Tumblr might be preferable. A company with a local customer base might be more suited to Foursquare. But these platforms are not mutually exclusive, and in fact are highly compatible. Brands can use their Facebook page, their Pinterest account, and their blog to drive traffic, often using cross-promotion. How they use them will depend on the message. What we are seeing is the fragmentation of information on one hand, but its conglomeration on the other. As content strategy becomes more ‘niche’, the potential for sharing that information across a multitude of platforms brings a kind of umbrella to the process, tying it all loosely together. So a successful blog will be joined up to a whole range of social media channels: it might come up in a Google Plus search, or a good blog infographic might be taken and shared across Pinterest. We’re moving away from one-size-fits all social media approach and towards niche usage. So no, blogging is not dead: where the written word is the most appropriate form of communication it is stronger than ever. Blogs are generating leads, showcasing thought leadership and supporting customers in an ever more relevant way. Where blog usage has fallen, it is because the written word was not the most suitable method of communication, and other media forms have proved a better fit. Brands are thinking harder about the ever-expanding range of communication channels available to them, and where they are blogging it is because they have made a conscious choice to. A good blog will focus on long-term audience engagement, and that’s something that is still often best achieved through the written word.